When the Second World War broke out, people had learned the lessons of the first and didn't rush to join up, but there was widespread unity behind the need to stop the aggression of Hitler's Nazi Germany. 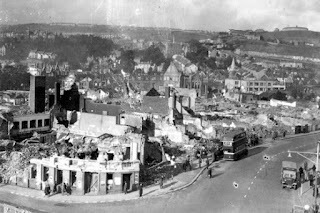 The civilian population of Wales was heavily involved in the war almost from the beginning, not only serving in the armed forces but also working in armament factories and suffering some of the heaviest bombing attacks of the war. The war made huge changes to employment in Wales. By 1944 30% of the population was engaged in war work of some type. In the coal industry, however, there was a desperate shortage of miners and the government was forced to conscript men to work underground rather than in the Armed Forces. 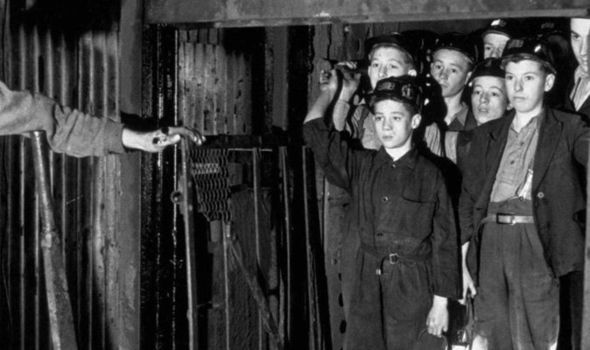 The Bevin Boy scheme put thousands of young men into the Welsh mines, which was a shock for many of them. The nature of the workforce, with many men serving in the forces, also changed dramatically. In 1939 only 90,000 Welsh women went out to work. By the end of the war there were over 200,000. Many women worked in the armament factories at places like Bridgend, Hirwaun, Glascoed and Caerwent. Living standards also improved in Wales and between 1939 and 1945 the wages of working men and women were doubled. The government planned to evacuate nearly millions of children to the safety of rural Wales for the duration of the war, but only thousands, rather than millions, actually went. Most people preferring to keep their children close to them, whatever the dangers. Those who were evacuated had a warm welcome but the experience of being taken away to live with strangers was traumatic for many young children. 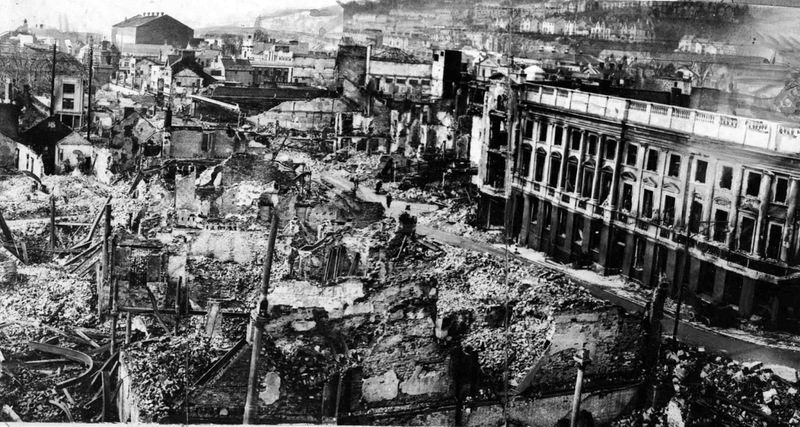 Early in the war Wales was out of reach of the German bombers, but after the fall of France in 1940, large parts of the country became within range. A raid on the oil tanks at Pembroke Dock in August 1940 caused the largest fire seen in Britain since the great Fire of London in 1666. 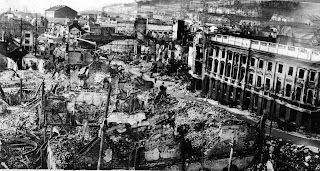 Cardiff and the South Wales valleys were also subjected to heavy bombing but it was the Three Day Blitz of Swansea in February 1941 that really brought home the effects of war to the Welsh people. In three days and nights of incessant attacks the centre of the town was flattened and hundreds of civilians were killed. Today, many of the new buildings are still standing, making Swansea town centre like a time-slip from the 1950s.